Genotypic has been at the forefront of introducing and shaping genomics across industry and academia in India since its inception in 1998 as the first Genomics company in India. With a global reach and hundreds of publications citing their Services, Genotypic also has many firsts to its repertoire and has partnered with global Technology providers like Agilent Technologies, Illumina, Thermofisher and Oxford Nanopore. Genotypic’s expertise in genomics research is designed to drive the next big wave for genomics in India and abroad. Genomics India 2019, the commencement of an annual event organized by Genotypic, will facilitate in enabling the fortification of the already booming field of Genomics. Coyright 2019 Genomics India. All rights reserved. 2002-2006: PhD in Biotechnology from IGIB Delhi. 2007-2009: SIMO SITRA postdoc fellow at Molecular Immunology group with Prof. Riitta Lahesmaa at Turku, Finland. Established pipelines for ChIPseq / RNAseq to understand generegulatory-networks underlying human T helper cell differentiation. 2009-2013: 2nd Postdoc at EPFL Lausanne, Switzerland with Prof. Bart Deplancke. Explored the role of co-regulator proteins especially co-repressors NCoR1 & SMRT in fat-cell differentiation using high-throughput genomics approach. Gundu H. R. Rao obtained his B.Sc. degree from the University of Mysore and B.Sc. (Hons) and M.Sc., degrees from the Poona University. He immigrated to the USA in 1965 and specialized in grain storage technology and obtained his Ph.D. degree from the Kansas State University, Manhattan, Kansas. He has been with the University of Minnesota Medical School for over 40 years. He is a naturalized US citizen and a tenured professor in the department of Laboratory Medicine & Pathology. He was the director of thrombosis research at the Lillehei Heart Institute, University of Minnesota. He was the visiting Professor in the Department of Surgery and Pharmacology, Kings College, in 1986 and in the Royal College of Surgeons, England 1987, and in the Thrombosis Research Institute, London in 1988. He taught one summer at the Institute of Human Physiology, University of Padua, Padua, Italy. He also served as senior consultant to the Government of India, for three successive years (199093), under a United Nations program called TOKTEN. He started a society (South Asian Society on Atherosclerosis and Thrombosis, SASAT) to create awareness on vascular diseases in 1993. He has edited and published eight books under the aegis of SASAT. CTO, Metahelix Life Sciences, Bengaluru. Agtech Industry in India for twenty years. He completed his Ph.D in Plant Biotechnology in 1995 and had post-doctoral stints at Weizmann Institute of Science, Israel and Cornell University, USA. He returned to India in 1999 has been associated with the seed industry since then. With a masters in physics from the University of Mysore Dr. Subramanya received his PhD in structural biology from the Indian Institute of Science, Bangalore. He went on to do postdoctoral work at the University of Oxford, UK. After returning to India, he was a faculty member and Assistant Director of the Central Drug Research Institute, Lucknow. He then returned to Bangalore, and was associated with Aurigene Discovery Technologies Ltd. From 2002–2014, the latest position being that of Senior Vice President, Lead generation and Structural Biology. He is currently Visiting Professor at the Institute of Trans-Disciplinary Health Sciences and Technology. Dr. Subramanya has 36 publications and 9 patents to his credit. Sciences in Bangalore. She works in the broad area of Genomics and Molecular Medicine. She has been the convener of Indian Genome Variation Consortium which provided the first comprehensive genetic landscape of the Indian population from disease genomics perspective. ​Her group has also demonstrated how this basal data can be used for dissecting disease genes, identifying signatures of selection, tracing mutational histories and also for pharmacogenomics studies. ​Her group has been involved in genomics studies on spino-cerebellar ataxia, a rare neurodegenerative disorder for the last twenty years in collaboration with AIIMS and have identified novel mutations and founders for the disease in Indian population. Her group has pioneered the area of Ayurgenomics which has provided the first evidence for molecular correlates of Prakriti that lead to identification of predictive biomarker for high altitude adaptation. A TRISUTRA Ayurgenomics consortium comprising of collaborating partners from diverse and contrasting disciplines has been established by the group for scientific validation of principles of Ayurveda and its integration with genomics and modern medicine for preventive, predictive and personalised medicine. She has more than 60 papers in prestigious peer reviewed journals and has made over 100 presentations in national and International forums. 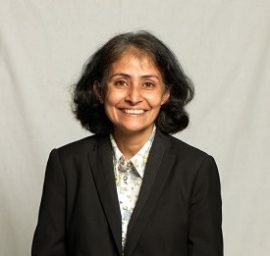 ​She has been recipient of a number of national awards, the CSIR Young Scientist’s Award (2001), DBT young woman scientist award (2008) Shanti Swarup Bhatnagar award (2010), Vasvik Award (2016) and is a fellow of Indian Academy of Sciences and a board member of Internation Human Phenomics Consortium. Scientist Award, Dr. Palle Rama Rao Award, Prof. GK Manna Memorial Lecture Award, Dr. Subhash Mukherjee Oration Award, Prof. Manjeet Singh Oration Award, Dr. L. D. Sanghvi Oration Award, Dr. Joseph Thomas Memorial Lecture Award, Prof. G. Jayaraman Oration Award, etc. He is a Board Editor of Mitochondrion​ ​; Academic Editor of ​PLoS ONE​; Associate Editor of ​BMC Medical Genetics​; BMC​ Genetics; Tropical Medicine and International Health, and member of the Editorial Board of the journals – Scientific Reports, Human Genetics, and ​Clinical Genetics​. 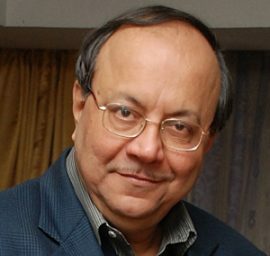 He was the President of the Indian Society of Human Genetics (2011 – 2015) and the founder of the Society for Mitochondrial Research and Medicine. Dr. Ajaikumar is a doctorpeneur and the Chairman & CEO of HealthCare Global Enterprises Ltd. He is a radiation and medical oncologist with over 40 years of experience. 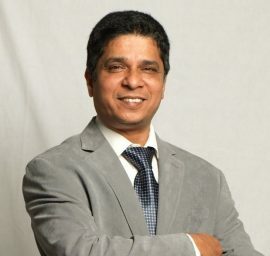 After completing his MBBS from St John’s Medical College, Bangalore, he went on to complete his residency training in oncology from the University of Virginia Hospital in Charlottesville. Dr. Ajaikumar completed his fellowship in radiation and medical oncology from the renowned MD Anderson Hospital in Houston, Texas. While he had the opportunity to continue to practice at MD Anderson, he chose to start a cancer center west of Chicago in 1979. This center grew well; however, Dr. Ajaikumar was also interested in looking at building a cancer care facility in India. He used to spend several months in the year monitoring the status of cancer care in India. As he continued to build his practice in the US, Dr. Ajaikumar also founded a not-for-profit hospital in Mysore, Bharath Hospital and Institute of Oncology in 1989. This was largely to meet the needs of patients in Mysore and its surrounding areas. At the same time, along with a group of oncologists, he started the Bangalore Institute of Oncology (BIO). As this center grew, it helped Dr. Ajaikumar understand the nuances of cancer care in India. The requirement was very clear: there was a great unmet demand. The need of the day was accessibility, affordability, and high quality of cancer care treatment. With this in mind, he moved back to India with his family in 2003 with a vision of expanding the services offered in Bangalore. Dr. Ajaikumar believed in bringing the hub-and-spoke model to create multiple centers across India to make cancer care affordable, at the same time, bringing high quality care by introducing linear accelerators even in Tier2/Tier3 cities. Also, the cornerstone of his vision was the belief that cancer can be treated only one way: the right way, the first time. HCG was instrumental in introducing high-end technologies like CyberKnife™ and TrueBeam™. It also brought in advanced bone marrow transplant therapies as well as molecular imaging. Dr. Ajaikumar also had his eye on the end-to-end delivery of cancer care, and knew molecular diagnostics was an important part of cancer therapies. With this in mind, Dr. Ajaikumar acquired Triesta, which was a molecular diagnostic lab. Today, HCG is at the forefront of molecular diagnostics and incorporating genomics to facilitate precision medicine. Another area of interest for Dr. Ajaikumar has also been fertility in India. He partnered with Dr. Kamini Rao, under the Milann brand name, and has established multiple centers across India. Today, HCG is rapidly expanding and will soon have 26 comprehensive cancer care centers from its present number, 17. Milan will grow to 8-10 centers. With this success, Dr. Ajaikumar is deeply energized and hopeful to spread this model globally. He eagerly seeks to help patients achieve longer and better lives by providing them the best accessible cancer care treatment. He continues to pursue his passion of increasing and strengthening the network of comprehensive cancer centers across the world; beginning in Africa. As a doctorpreneur, his vision has been to focus on good patient outcomes, patient safety and make treatment affordable and accessible. Among his other achievements, he has been awarded the prestigious E&Y Start-Up Entrepreneur of the Year Award as well as the Asian Health Care Leadership Awards. Harvard Business School has done several case studies on HCG and Dr. Ajaikumar has given several talks at Harvard Business School and Babson Business School. His goal has also been to encourage and mentor other doctors and entrepreneurs in their own specialties. Today, under his leadership, cancer care in India has seen a paradigm shift, and cancer care has been redefined as a chronic disease. He is a social entrepreneur and has started several NGOs, which have done tremendous developmental work in the Gundlupet district, Karnataka. His organizations have worked on providing financial aid for needy cancer patients, the empowerment of 20,000 women through microfinance, educating 550 children by providing a local school over the last 20 years, and addressing social ills in society. Apart from his charitable work, he enjoys being a marathon runner and is a voracious reader. Dr. Rakesh Mishra did his university education from the University of Allahabad and received his Ph.D. (Organic Chemistry) degree in 1986. Subsequently, he started his career in biology at the Indian Institute of Science, Bangalore. He has several years of research experience at the University of Bordeaux (France), University of Saint Louise (USA) and University of Geneva (Switzerland). He joined CCMB 2001where he is studying regulation of genome information and evolution of complexity in biological systems. His lab is also interested in how genome interacts with environmental factors. He has edited a few books, contributed to several books and published more than 100 research papers in national and international journals. He was awarded the J C Bose Fellowship by the Department of Science and Technology (DST), Govt. of India. 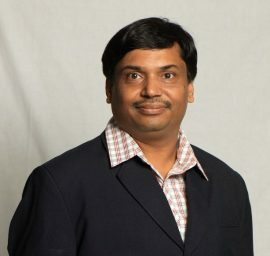 He is elected fellow of the three national academies (Indian National Science Academy, Indian Academy of Science and National Academy of Science, India). He is a member of committees of several Govt. Funding agencies. Professor K. VijayRaghavan is the Principal Scientific Adviser to the Government of India, succeeding Dr. R. Chidambaram on April 3, 2018 and the Chairperson of Prime Minister’s Science, Technology & Innovation Advisory Council (PM-STIAC). He was Secretary, Department of Biotechnology (DBT), Government of India from January 28, 2013 to February 2, 2018. The Principal Scientific Adviser works with all arms of the Government, with our States, our citizens, national and international agencies. The goal is that the benefits of science, technology and innovation solutions reach the most needy, for the sustainable development of India and for the well being of our planet. Biological Sciences (NCBS), Tata Institute of Fundamental Research Bangalore (TIFR) and was the NCBS Director till 2013. He studied Chemical Engineering at the Indian Institute of Technology, Kanpur, holds a Ph.D. in Molecular Biology from the Tata Institute of Fundamental Research was a Senior Research Fellow at the California Institute of Technology. His research is on nerves and muscles and how complex behavior emerges during animal development. VijayRaghavan is a Fellow of the Indian Science Academies, the Royal Society, the Academy of Medical Sciences (UK) and a Foreign Associate of the US National Academy of Sciences. He was awarded the Padma Shri by the Government of India in 2013. Chennai. He was one of the first in the world to build a successful pipeline for pushing “molecules to market” to reap their commercial benefits, by building a rich ecosystem of contract research institutions and public research institutions not just in India but in several other countries as well. Many of these partnerships and collaborations were also anchored by Governments in Asia for welfare of the society. Some noteworthy examples include his work with Government of Singapore to build their synthetic biology ecosystem and in Malaysia to support producing a high value fragrance compound using fermentation thereby reducing deforestation. Many of these efforts had potentially saved tons of carbon footprint for the planet and in progressing towards achieving sustainable development goals for emerging economies. All these efforts led to winning the prestigious “company of the year” award globally. Prior to Evolva, he founded & directed the R&D team at the Dalmia Centre for Research where he pioneered many herbal products and launched them successfully post all 4 phases of rigorous double-blind placebo controlled clinical trials. Thousands of patients and users benefited for many diseases affecting respiratory, cardiac, dental and cognitive systems. Tobacco replacement, social forestry, expanding Neem’s use were some of his noteworthy contributions. He won several awards & accolades for his services. President facilitated the path of “vision US $ 100 Billion” for the Biotech sector. There is a lot of granularity that has been bought into this model since it was conceived. He also serves as the Chairman for the Women’s Biotech Park in Tamil Nadu, a unique and pioneering initiative of the Government to promote women entrepreneur in biotechnology. Currently a lot of effort is going into the creation of this park into a world class tech facility. Dr. Murali also serves in the Karnataka Vision group of Biotechnology and has played a pivotal role in the recent policy release. He is advising several state governments on policies related to biotechnology. Under his leadership several policy documents on manufacturing, biosimilars, make in India have been released. Dr. Murali serves in several government committees on Biotechnology. Dr. Murali is a keen follower on Biodiversity issues. Has represented the Industry with the National Biodiversity Authority on a number of issues to find solutions that is a win win for the country and the Companies. His social work includes his work at Indian Red Cross, where he presently serves as the Vice President. The focus is on girl children with disabilities and orphaned to provide education and support. Dr. Murali has a Ph.D in Microbiology from Madurai Kamaraj University and two degrees in Doctor of science with more than 100 publications & patents. He also guides students for their Ph.D in plant biotechnology at Bharathair University and serves as visiting professor at KIIT University. 2007) and former Director General of CSIR and Secretary, DSIR, Government of India (2007-2013). He conceptualized and implemented the functional genomics research in India and the Indian Genome Variation Project. He presently mentors several startups in Genomic Medicine and Big data analytics. Shanti Swarup Bhatnagar prize. He is an elected fellow of The World Academy of Sciences, the European Society of Preventive Medicine and member of all four National Academies of Science & Engineering, India.